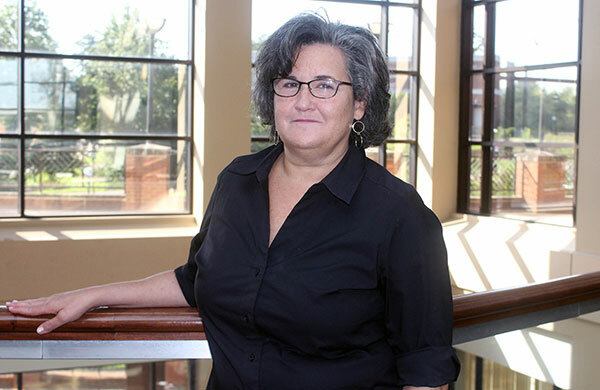 Kim K. Johnson, a member of MGA's Nursing faculty, was just awarded a Scholarship of Teaching and Learning Fellowship through the University System of Georgia. Full Name: Kim K. Johnson. Title: Assistant Professor of Nursing. Degrees: Post-Master Certificate of Psychiatric Nurse Practitioner (Georgia Southern University, 2016); Master of Science in Nursing - Family Nurse Practitioner (Georgia Southern University, 2015); Bachelor of Science in Nursing (Macon State College, now Middle Georgia State University, 2010); Associates Degree in Nursing (Perimeter College, 1992). “I started working as a clinical instructor for the former Macon State College after I graduated from the Bachelor of Science in Nursing program in 2010. Within two years of working part-time for the Nursing department, I was awarded a grant that allowed me to work full-time while obtaining my Family Nurse Practitioner master's degree at Georgia Southern University. I primarily teach psychiatric nursing which I love. More recently, I was awarded the 2017 - 2018 Scholarship of Teaching and Learning Fellowship which is an excellent faculty research immersion within the University of Georgia System. The SOTL Fellowship provides excellent mentors for my writing about the social justice precepts that I teach in Mental Health. I traveled to Dublin, Ireland, to present an education project to the Sigma Theta Tau International Nursing Congress. "I will be busy for the next three years earning my doctorate of Nursing Practice at Georgia Southern University. I plan to continue my research project on healing teens with oppositional and conduct disorders while in the doctoral program. In addition to teaching, I assist Hephzibah Behavioral Health Services with their initial diagnostic assessments for foster children. I started this wonderful trajectory of success through my mentors at MGA. I am also a founding member of the Middle Georgia State Alumni Association Board. I encourage all MGA graduates to participate in alumni activities." “I had excellent professors in the RN-to BSN program at MGA and noted their enthusiasm. I was impressed that they took time with each student. Today, I enjoy working with Nursing faculty, who are so great at mentoring our students. At MGA, I have so many opportunities to improve myself. What’s not to love?"